350 ancient burial mounds (kurgans) keep the secrets in the Tarbagatai mountains for 2,800 years. In 2016, archaeologists discovered the golden items of the ancient Sakes era in the "Eleke Sazy" pantheon. 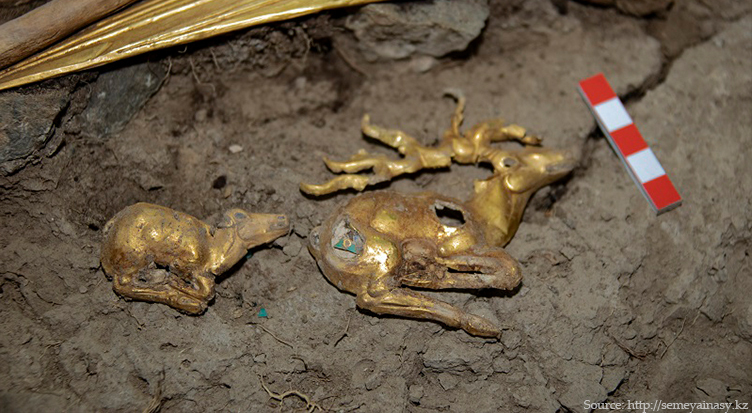 In the photo: Golden figurines of deer, beads and parts of arrows discovered in the burial mound. "Eleke Sazy" is a plateau of burial mounds, located at an altitude of 1,5 kilometers above sea level. 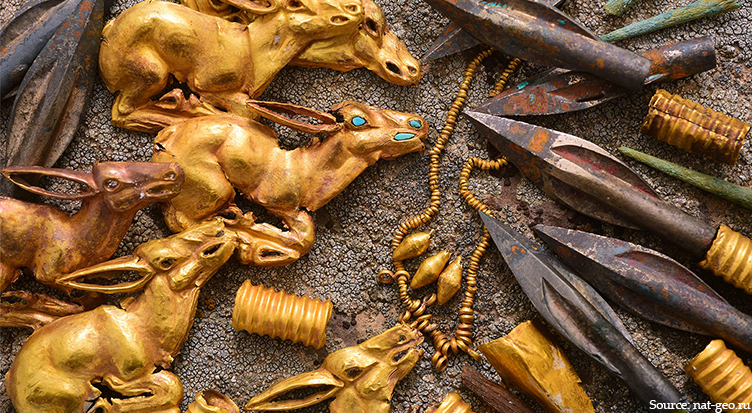 According to Kazakh archaeologists, 90% of burial sites were vandalized many years ago by gold hunters of ancient kings. But the researchers haven’t lost hope to find an intact necropolis. The kurgan was chosen by historians after archaeological exploration and data analysis. The memorial is shaped as a round hill with a flat apex and consists of several layers. The sod layer hides the upper stone dome, which consists of stacked stones. A thick layer of soil and then another stone embankment can be found underneath. A funeral chamber is in the center. A way to the corridors leads in four directions. Through these corridors, the robbers broke into the stone mound. They were here as well. 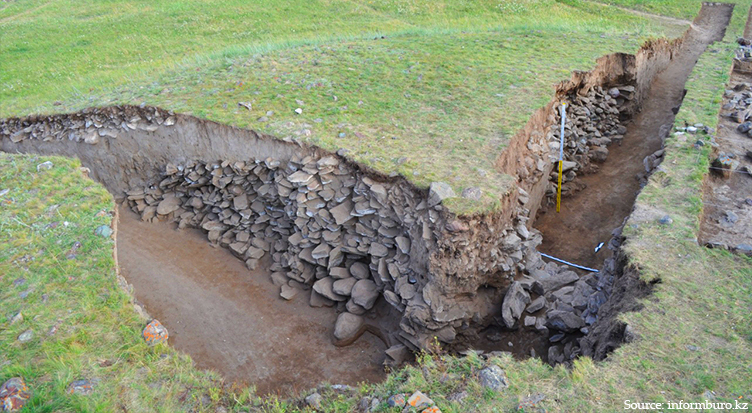 In the photo: As a result of excavations, the structure of the kurgan became visible. The researchers found a shiny yellow metal when the side corridor was freed from the ground. Perhaps, while in a hurry, robbers dumped golden items and never returned to pick them up. Each object sheds new light on this case for researchers. For example, corrugated golden tubules were found in burials before, but archaeologists did not understand their purpose. 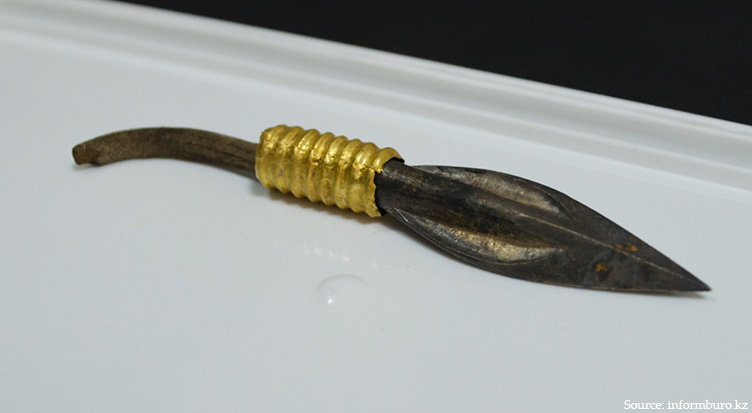 When the scientists found a bronze arrow connected with such a tube with a pole, they determined that the gold object was used as a fixture element. 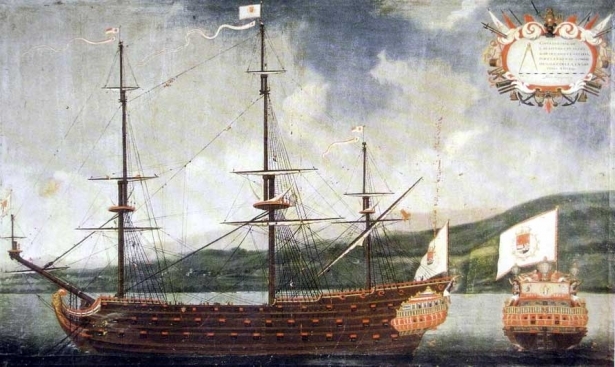 In the photo: For 28 centuries, the bronze tip of the arrow remained sharp. In 2016, deers made of leaf gold in Scythian-sakian technique, inlaid with turquoise. They differ from the rest of the golden items discovered in other mounds, because animals do not have horns. Badges in the form of roe deer symbolize the world, so experts say. In the photo: It is believed that the deer was a totem of the clan for the ancient Saka. In 2018, when excavating another necropolis of the same complex, scientists discovered the burial mound of the "golden man". The Saka nobleman was buried with a golden quiver for arrows, a golden sword and a choker of the precious yellow metal. 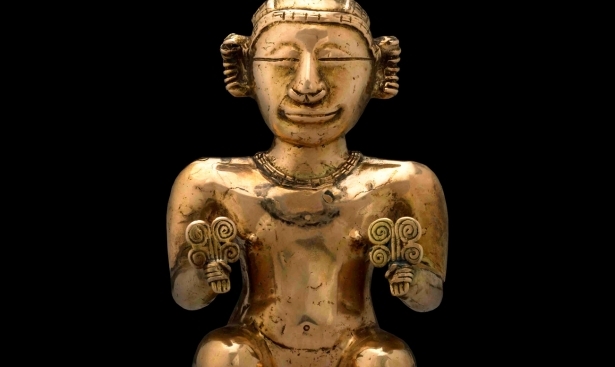 Jewelry in the form of patterned plates, beads, bells and figurines of deer with horns covered the body of a young leader. 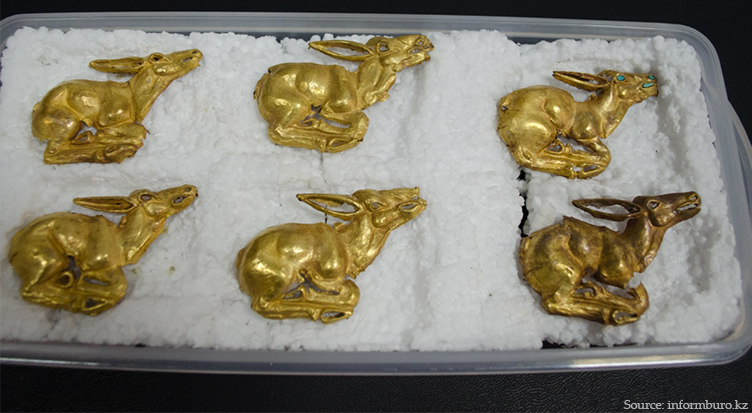 Archaeologists dated the burial mound 7-8 century BC, and the golden warrior presumed to be 18 years old. Scientists have classified his appearance as European with an admixture of Mongolian genes. Golden items testify to the important social rank of the young man. In the photo: Figures of deer and part of the quiver of the "golden man". The objects and weapons of the Tarbagatai kurgans were made of 22K gold (the fineness of 920). 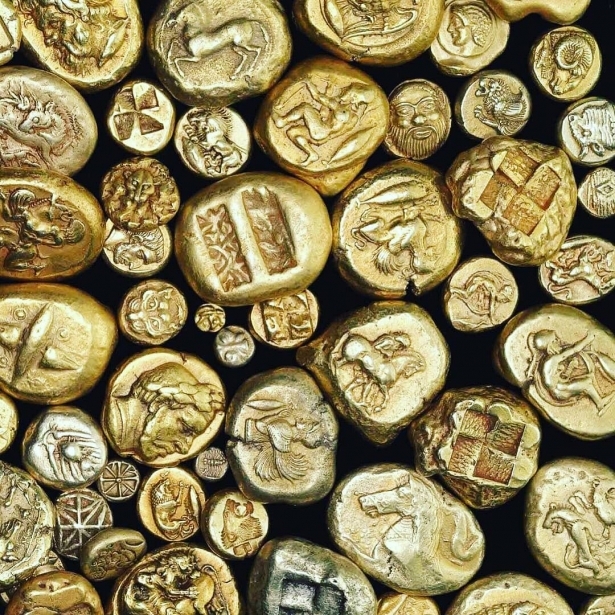 The nomadic tribes of the Scythians and Sakas were able to make golden jewelry of high quality. Archaeologists discovered cast items made of the precious yellow metal, embossed and inlaid jewelry pieces made of gold leaf. 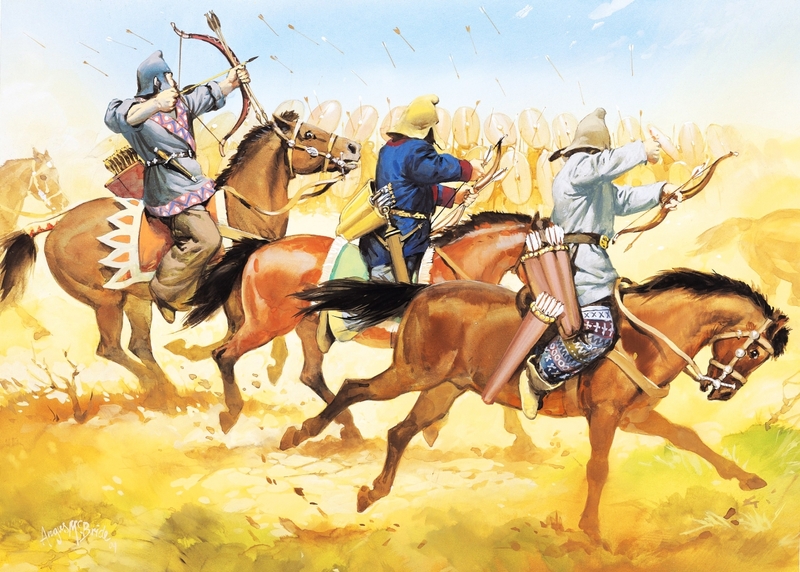 Scientists gradually uncover the secrets of the burial mounds of eastern Kazakhstan. The excavations of "Eleke Sazy" will continue in 2019. The government decided to create a museum and archaeological complex on the territory of the ancient pantheon.